My name is Harley Blakeman. I am one of the roughly twenty million Americans living with a felony criminal record. As an entrepreneur, my company has taken a pain point that millions face daily and turned it into a viable business – www.HonestJobs.co – a free-to-use, national fair-chance employment platform. At 15, my father passed away unexpectedly. My mother was battling addiction and was unable to be a parent, leaving me on my own. Over the next two years, as I bounced from couch to couch, essentially homeless. I began taking, and then selling, prescription pills. Just weeks after my 18th birthday, I was arrested for drug trafficking. After serving 14 months in a prison work camp in Georgia, I moved to Columbus, Ohio, for a fresh start. Lucky enough to have distant relatives in Ohio, I moved into my aunt’s finished basement and immediately started washing dishes at one of her friend’s restaurants. While I struggled to find a better job because of this record, I saved up as much as I could in the position, working 50+ hours a week, and started attending the local community college to study business. Excelling there, I applied and was accepted into The Ohio State University Fisher College of Business. My criminal history, again, presented a challenge as I struggled to find quality internships despite being at the top of my class. While my lower-performing peers had jobs with marketing and consulting firms, I was stuck working in a restaurant. It was during those years in college when I began to explore entrepreneurship. My first few business ideas never quite panned out, but came with many valuable lessons. After graduating with a 3.7 GPA in 2017, I initially followed a traditional route. I interviewed with 36 Fortune 500 companies, going through multiple rounds of interviews with each, and received 35 rejection letters. The rejection letters almost always came immediately after disclosing my criminal history. One company, Owens Corning, extended an offer which I accepted; I got promoted to supervisor after seven months. But entrepreneurship was calling. I knew there was a huge opportunity to address the massive business and social issue I had personally faced. For the roughly twenty million people living in the U.S. with felony convictions – and millions more that have some type of criminal record – finding gainful employment can be like looking for a needle in a haystack. The formerly incarcerated face a staggering unemployment rate of approximately 27 percent, compared to under 4 percent for the general population. Over several months, my business partner, Josh Watters, and I built an online platform that connects formerly incarcerated job candidates with employers willing to consider them based on their qualifications. Over the last six months, we have continued to build out the platform, which has amassed dozens of employers, features positions across the country and has led to confirmed hires. Employers can create an account and have up to three active job posts for free. After that, it’s a tiered pricing plan based on the number of job posts. * Paid plans come with extra benefits like advanced analytics, email marketing campaigns and the option of invoices instead of credit card payments. My story has gained major attention from large organizations including TEDx (video here), SHRM, and the White House, when the President of the United States invited me to attend the First Step Act celebration in March 2019. 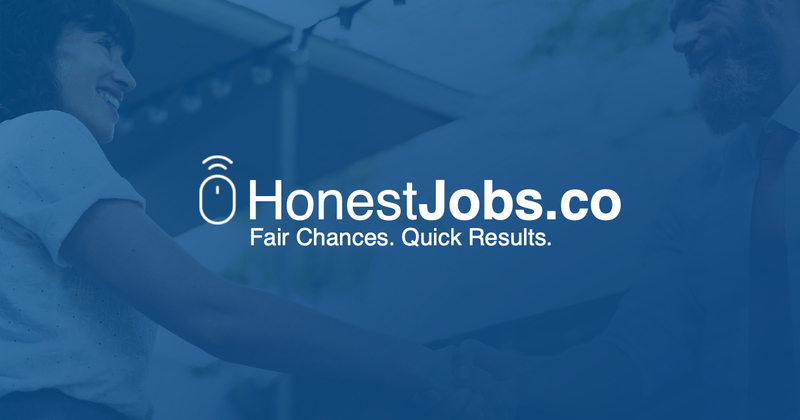 My goal is to encourage the millions of Americans who are discouraged by our broken system while empowering companies to become fair-chance employers with http://www.HonestJobs.co. With the SHRM initiative, Getting Talent Back to Work, I am asking employers to post #JustOneJob on the fair-chance employment platform. If every HR professional gave #JustOneJob to a formerly incarcerated job candidate this month, we would likely see the stigma dissipate dramatically. * Up to 10 posts are $299/month, 20 posts cost $499/month, and tiers continue all the way up to 1,000 active jobs for $4,799/month. Harley is on a mission to help 1,000 employers adopt more background-friendly hiring practices and connect them with ready to work candidates. He’s the author of the book, "GRIT: How to Get a Job and Build a Career with a Criminal Record." To learn more about Harley and purchase his book visit: harleyblakeman.com.